Nerd Much's Best Indie Game of the Year 2017: Hellblade: Senua's Sacrifice | Nerd Much? The information and experiences in Hellblade are accessible to everyone. 2017 wasn’t exactly a loud year for indies, but there were a few that stood out in the crowd. Night in the Woods was a fairly good hit, but it didn’t quite go all the way when it should have. RiME had all the workings of a great indie game, just a little too pure and innocent for the adults in the crowd. Tacoma is a very complex indie game, though about 99% of its complexity lay in the subtext and reading material within the game. That makes Tacoma a hard sell to those without a formal education in art media that may not pick up on the nuances of dialogue and mise-en-scéne. Last Day of June struck hearts, even with its repetitive gameplay. Hellblade: Senua’s Sacrifice did what no indie game did this year, and that’s what made it stand out. Hellblade is quite literally the best looking indie title out there. From the developers of Enslaved: Odyssey to the West, Hellblade showed us that the indie scene could be so much more than a swirling sea of 8-bit platformers. Ninja Theory’s motion capture of the lovely Melina Juergens was expertly done, more than most AAA games manage. And, nevermind Juergens’ phenomenal acting for having no previous experience whatsoever. 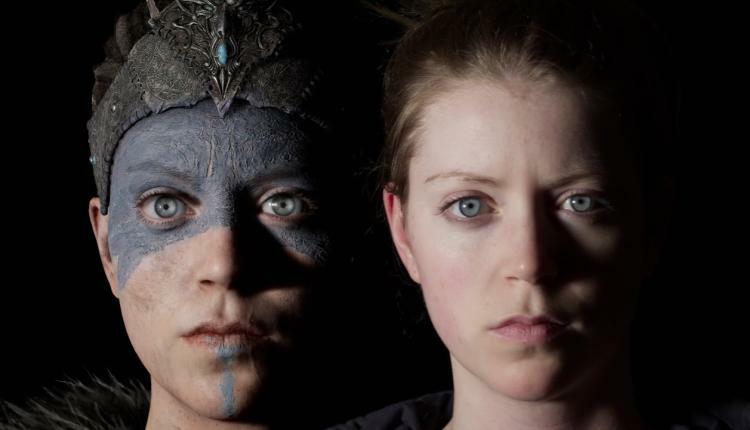 Hellblade isn’t just about the looks, though they certainly help. The graphics in Hellblade, from Senua herself to the environment around her, have these little details that add to the story and Senua’s state of mind in a way we have never seen in a game before. For example, in one of the earlier areas, she is looking for the god Surt. He is a fire god and his land is ashen, like the aftermath of a forest fire. The ground is covered in ash and the sun is filtered through smoke. Though now that I recall this, the sun wasn’t orange, as it should be when viewed through forest fire smoke. Perhaps that is either a detail that they simply forgot (easy to miss if you’ve never experienced a forest fire near you), or it is yet another sign that a lot of what is happening around Senua is in her mind. Nonetheless, during this Surt level, Senua walks in and out of sunlight quite often — she is in a forest, after all. Yet each time she steps into the shadows, Ninja Theory included flickering shadows and darkness that slowly close in on you. It can be brief, or you can linger in it, it doesn’t actually harm Senua. I cannot begin to describe how perfect this is to explain someone’s state of mind while suffering from a mental illness. It is a kind of creeping darkness the moment you step away from something good, be it actual sunlight, home, or someone. But the moment you step back, it all goes away, like it was never there. There are plenty more small details like this you play, I couldn’t possibly list them all here. Together, they create an atmosphere that’s comprehensible to everyone who plays the game, no matter their experiences with mental illness. If graphics aren’t putting you in Senua’s shoes, the gameplay hits you in the head with it. 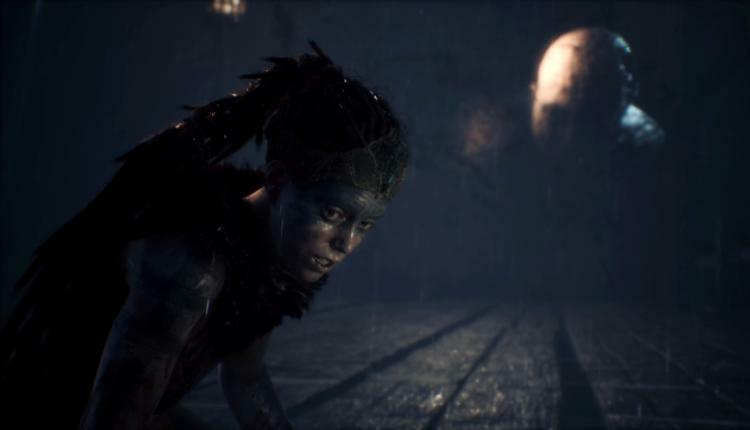 It is hard to miss every time you die, by accident or by the game’s design, the darkness crawls its way further up Senua’s arm. If it reaches her head, you have to start the entire game over again from the beginning. Her special vision, seeing the runes in order to open doors, is often described as “seeing the world differently.” For anyone that has been an outcast to society, this speaks to you instantly. 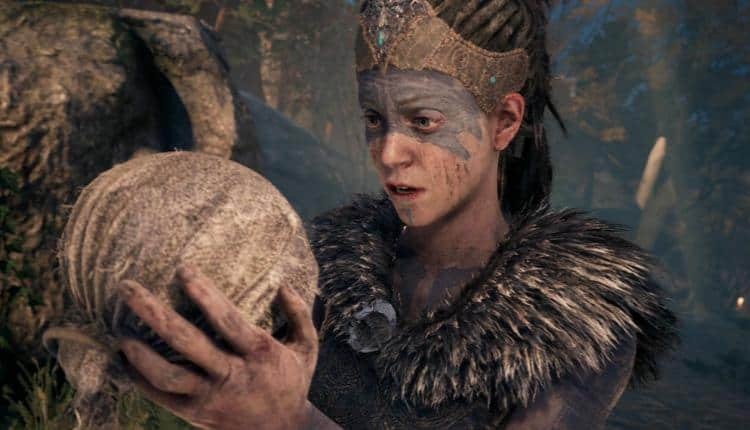 Seeing these symbols, her mother’s face, is Senua’s own unique ability. Her mother tries to instill that this is something special, something to be treasured. This comes in handy during combat, when you can stun your enemies for a brief period and get quite a few hits in. Hellblade: Senua’s Sacrifice is 6 hours long, at most. Though many indie games are about this length, or even shorter, the usual goal for the AAA single player game is 40-60 hours. During Hellblade’s marketing campaign, the developers made it clear that just because the game was short, didn’t mean it wasn’t any less complex than a triple A game. They certainly weren’t wrong, as Hellblade has all the markings of a complex game, especially concerning the fascinating story. There may not be a large map on which to travel to several areas, but the combat is so much more than point and click or press A to jump. The puzzles take a certain spacial awareness not every has in games, invoking a lot of backseat gaming if you’re not the one playing. Anyone who plays this game will highly recommend that you play this game with your best headphones. Not only is the diegetic sound (sound that has a clear source in the environment around you) phenomenally done, each voice inside Senua’s mind has a clear and distinct personality that is instantly recognizable. The character of Dorth, for example, whether he is real or not, is extremely well developed. We know him almost entirely through the stories he tells, more than we do by the remarks from the main narrator. My favorite use of the crowd of voices in Hellblade is when Senua must solve a puzzle, is close to the solution, discovered something new, is hit during combat, and a number of other instances. The clamor grows to the point where the voices begin shouting contradicting statements. Some are positive, others despairing or cruel. For example, when Senua is hit during combat it is often “it’s over now” or “she can do this,” with plenty variations in between. If there was ever an example of intrusive thoughts in a video game, that is exactly it. There is no need for the formal psychological definition, it is exactly those moments of clamor. Speaking of which, the lack of formality in what Hellblade teaches is one of the main winning factors. Education should be for everyone, especially that of mental health and illness. Mental illness (schizophrenia, split personality, depression, anxiety, etc) are common enough to have their equally common metaphors. Schizophrenia is like constant paranoia, depression is like a constant black cloud or darkness. In reality, all of these mental illnesses have that darkness and Hellblade turns those metaphors into actual experiences. It isn’t just the creeping, flickering shadows I described before when Senua steps out of the sunlight, it’s the many voices, the intrusive voices, the deep growling voice of the darkness. All of this combines into an experience almost everyone can understand, regardless of your education level. There is no need to have a post-secondary degree in the arts to see what’s going on here. The information and experiences in Hellblade are accessible to everyone, not just a select few. This isn’t the Canterbury Tales or the Faerie Queen here to insult you if you don’t know Latin, Greek, and the history of Christianity. One of the first things you’ll notice, especially during the opening scene of Hellblade, is some clipping in Senua’s outfit. I would not venture to know what happens under the hood of a game engine, but I do know that sometimes these glitches cannot be helped. Code is a fickle thing and sometimes it behaves in a way no one can anticipate. That said, it ends after the opening scene. After that, visual glitches are few and far between, not nearly enough to warrant speaking about. The second gripe some might have about Hellblade is slightly more serious, though it is completely understandable why. The camera is locked over Senua’s shoulder and if you’re keen on playing the game quickly, you will get dizzy. Spinning the camera has never been so disorientating as it is when you want to look around an area quickly. If you slow down and muster up some patience, you’ll be just fine. 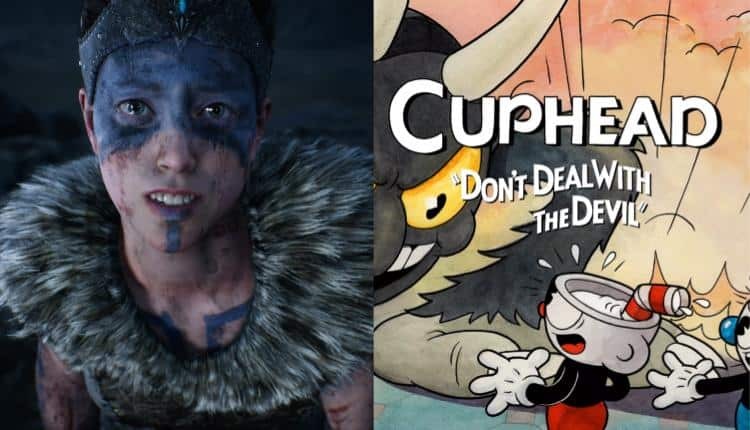 Why Hellblade and Not Cuphead? Now we get to the question so many have been asking from the beginning. 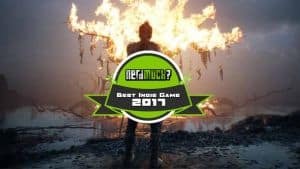 Though Cuphead is great in its own way, Hellblade comes out on top for all of the above reasons and more. It innovates environmental design, story telling, and the use of sound, far more than Cuphead could dream of. Cuphead, in comparison, is a platformer made for the few elite gamers that are well-practiced at platforming and desire a challenge. Cuphead is not for the faint of heart, and certainly not for those whose first introduction to platforming is Cuphead. Those innocent gamers who were drawn to the iconic and beautiful animation, only to be blindsided by the extreme difficulty of the game. Unlike Hellblade, Cuphead does not teach the player about anything outside the world of the game beyond how to deal with frustration. Cuphead may innovate platforming and animation in games, but it is not a game that will leave such a huge emotional impact as to bring family members together through deeper understanding. That, and all of the reasons listed about, is why Hellblade: Senua’s Sacrifice is the better game.